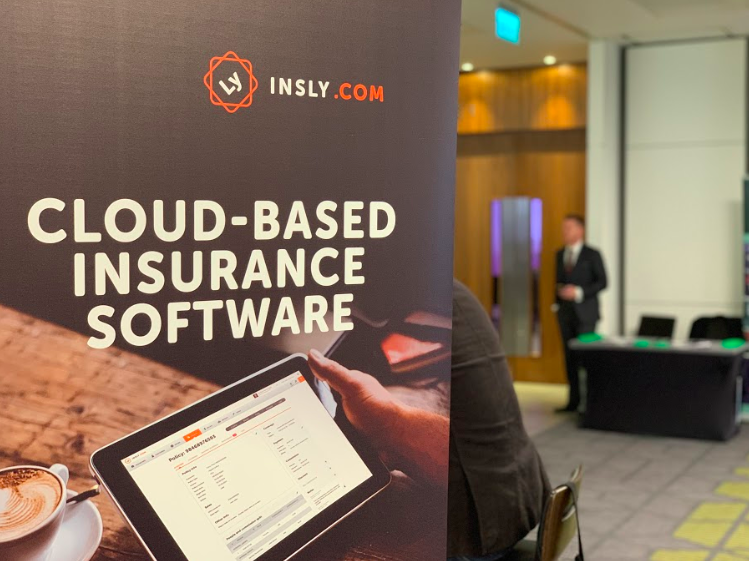 Insly was participating at the Global InsurTech Summit 2019 in London on March 6-8 supported by Enterprise Estonia (EAS). Established in 2000, Enterprise Estonia (EAS) promotes business and regional policy in Estonia and is one of the largest institutions within the national support system for entrepreneurship by providing financial assistance, counseling, cooperation opportunities and training for entrepreneurs, research institutions, the public, and non-profit sectors. 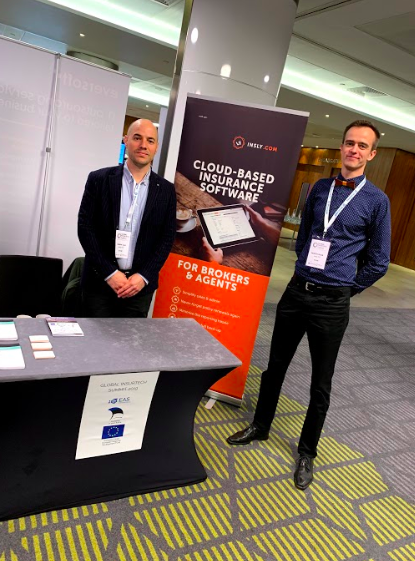 Insly was supported in participating at the event Global Insurtech Summit in London by Enterprise Estonia (EAS) with the Foreign Fair Support. Project number EU52916. Maximum financial support by EAS was 7400€. 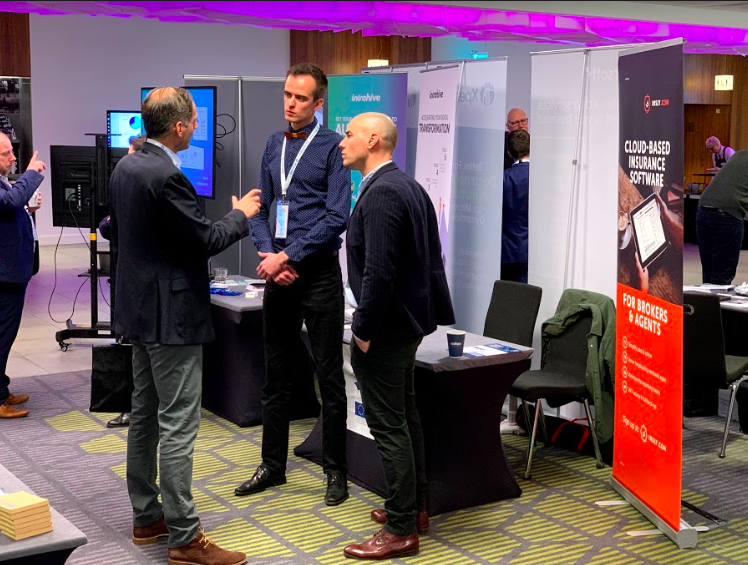 The event was taking place to connect with the shapers of the future of insurtech (insurance technology). Get Insly product in front of active buyers and influencers. Engage with investors from venture firms and insurance providers. Bain & Partners report on Insurance – Customers Know What They Want. Are Insurers Listening? Investments into B2C oriented insurtech companies are potentially overvalued, and as the insurtech sector matures, commercial insurance focused solutions might bring more success stories. Data analytics in underwriting and claims will lead to the next major wins for insurance companies. Contact with Truepic. Cool tech like investigative picture verification tools, very handy in the claim process. There are different reasons why insurers or MGAs look for new software solutions. The most common are related to the ability to deploy new functionalities quicker to the market or to renew and provide access to newer technologies that enable them to do more or to do things differently. Implementing new software is typically considered an expensive and time-consuming process and is normally set for a minimum period of 5 years. Introducing software more frequently is in most cases uneconomical and exhausting to a company’s resources. Resource constraints make finding the right solution even more important. Currently, in the UK alone there are over about 43 different insurance software providers known to us (read the article about MGA software providers) each of them with their own focus, functionality restrictions and cost model. Unless you want to speak to all of them you will need a shortlist that matches your requirements the best, so that you could make the choice between 3 or 5 but not from 40. To get to the shortlisting process, one should start by describing the functionality needs and following, it would make sense to use an unbiased insurtech specialized consultant to do the first wave of research to narrow down the target audience. The advantage of using a consultant compared to doing it yourself is the same as to using a broker to place your household or PI insurance. They know their area well and can save you time and money. Of course, there is no restriction to doing it yourself. have a pragmatic process that gets to the right answer based on real-world insight about the platforms (not just spreadsheets and formal reports). Specialism of the consultant is one of the most important elements. If the consultant doesn’t understand your area, then it’s a dead loss. Size of the consultancy is certainly a factor and is more related to affordability than appropriateness. Small clients can’t afford large consultancies. Enable Insurance Services Ltd – http://enable.co.com/ – lead by Andy Miller, they consult both Brokers and MGAs for Broker Management Systems. More geared towards UK business and takes a very hands-on approach to find the best fit based on client requirements. Oxbow Partners – https://www.oxbowpartners.com/ – lead by Greg Brown they apply the agile methodology to identifying solutions for you. This means no long–winded spreadsheet RFI questionnaires. Very knowledgeable about existing and upcoming insurtech companies and technology (250+ vendors in the database). This means quick turnaround times. Primarily working with large and mid-sized MGA’s, insurers and startups. Working globally. Gartner – www.gartner.com – heavyweight who helps world-leading insurance companies with their technology research. Very wells establish the process and strict rules. Very well informed and capable of finding the best solutions. At the same time more targeted towards the large and very large organization. Geographically global. Blue Note Advisory – https://bluenoteadvisory.com – lead by Nick Evers they specialize in placement and management of binding authorities and the related services, supporting technology being one of them. No known geographical restrictions. Munich Re Digital Partners – www.munichre.com/digital-partners – lead by Andy Rear they primarily work with startups offering capital and capacity. Among that process also the best technology is implemented to fuel the growth of the company. More UK-focused but having an eye out also for the European and other opportunities. There is also the option to build your systems from scratch, but this is costly and even more time consuming than setting up an already existing platform to your own workflow. Normal timeline to shortlist 3 to 5 software providers should range from anywhere between 1 to 2 months, depending on the complexity of your requirements. Application Programming Interface (or API for short) essentially enables connecting various IT systems or applications and allowing them to use each other’s functionality. Using APIs in insurance can serve multiple purposes and business opportunities with the potential of bringing with it cost-efficiency and flexibility for selling and managing insurance products. Traditionally, IT infrastructure in insurance has been heavily reliant on core systems – huge central databases that contain all the policy, accounts and claim information and take care of all of the back-end processing of an insurance company or intermediary. With the advent of new opportunities in online insurance sales and customer servicing, many of these core systems are now hindering opportunity precisely, because of their centralized and closed off architecture, which does not allow them to “talk to other systems”. For this very reason, Insly has developed APIs for most of the common features so that users can trigger all the functions they can do from the system (like producing quotes, issuing policies, emailing documents adding claims etc.) also from a website or customer portal. Let’s explore some of the uses of API in insurance in a bit more detail. What are the API use cases in insurance? One of the most common business cases is online insurance sales. 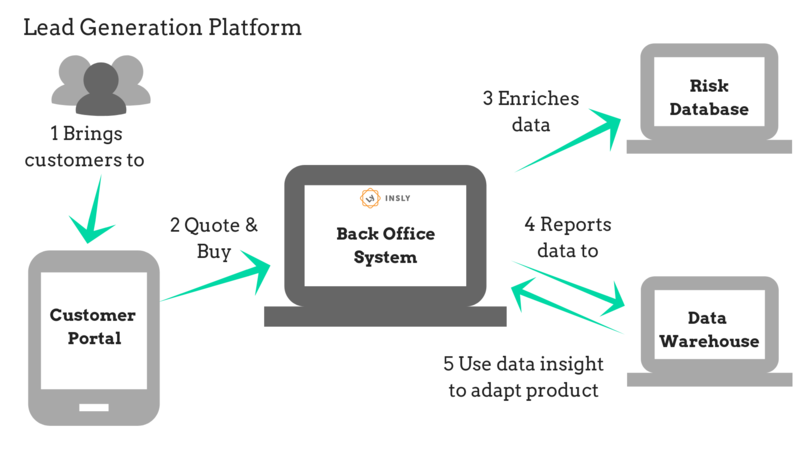 A back-end system with the capability to calculate premiums, produce the relevant documents and account files* and most importantly store all the policy data for reporting and account keeping. Where API comes into play is that it makes the front end “talk” to the back end and allows pushing or pulling of data as needed. This type of architecture where multiple applications perform various functions in a coherent business process can be loosely defined with the term “microservices” as opposed to the more centralized “monolith” architecture (google “microservices vs monolith” for a more detailed and technical overview). Other use cases for APIs in insurance can include client self-service for FNOL and claims management, client communication via chat(bots), data analytics, fraud detection, and many other potential benefits. We will probably see more use cases emerging as the industry embraces this approach more and more. *As a side note it’s fairly simple to create the sales related functionality directly into your website or app and most probably your web developer can do it (if they are any good), but building a robust database and back office system that works for insurance is an exercise we wouldn’t recommend undertaking unless you have unlimited resources and a couple years of life you are happy to give away. Bsurance works in collaboration with Playbrush who sells toothbrushes with a mobile app to motivate kids to brush their teeth. Alongside the toothbrush, Playbrush and Bsurance offer Dental Accident insurance. The toothbrush and insurance are sold together at the same time which means an API is needed to register policies at the time of purchase. Once the customer has decided that they would like Dental Accident insurance included to their Playbrush app subscription, Playbrush makes an API call to Bsurance, stating that insurance is required. Shortly after that, Bsurance sends an API call to Insly, describing the details of the insurance policy – customer data, insured persons, sum insured, policy period etc. Once this is done, Bsurance sends a final request to issue the policy in Insly, which will generate the needed policy documents like Insurer Terms & Conditions, Data Protection Agreement, Claim information, and the Policy Certificate, which are sent to the customer via e-mail which completes the policy issuing cycle. Thanks to APIs, all of the above happens automatically in a matter of seconds. If a claim were to happen, Playbrush has provided a webpage where customers can submit the details of their claim and the information is then transferred to Bsurance and Insly. Once the information is in Insly, a designated person from the insurance company will assess the claim and provide the customer the money for the dental repairs. The ability to connect multiple parties and applications will at the end of the day mean more automated processes and less manual labor as the “unnecessary bits” the customer doesn’t need are removed. At the same time, this means increasingly higher expectations from the user when it comes to flexibility for mixing and matching their software solutions into one service. Just book a demo via the link below. We’d love to hear how you do business and your thoughts on how it could be more efficient and automated than today. Customer messaging platforms are a great way to keep in touch with your existing customers and for engaging new prospects. Messaging platforms have been around for a while varying from simple chat solutions to more sophisticated platforms that combine marketing activities, customer support and client self-service via chatbots. While the technology isn’t necessarily new and has seen some adoption by the insurance community already, there is a large variety of potential use cases brokers should be aware of. This article explores the various uses brokers can make of customer messaging platforms as well as other ways brokers might interact with such platforms. The first and perhaps most obvious use for messaging platforms is customer support as evidenced by an increasing number of websites that tote some form of online chat window. Adding such an element to your website can create a frictionless channel for customers to post their questions and get quick feedback in their preferred manner (there is evidence that chat is becoming the main channel with calls reserved for escalated queries). According to recent consumer trends, having an efficient chat/self service solution can reduce a website visitor from abandoning their journey. Some customer messaging platforms also have outbound marketing capabilities with contextual insight allowing you to capture the contacts of people visiting your website as well as their activity/conversation history, which can later be used to send tailored messages about cover they might potentially be interested in. Intercom, for example, has integrated emailing capabilities which allow you to do bulk emailing to a number of website leads with dynamic content based on the person’s interaction with your website or app. E.g if the person had browsed the Motor Insurance section on your site it can trigger a relevant message to pop up in the website chat or trigger the appropriate change of content in outbound email. Manned vs Automated chat solutions? There has been a lot of talk of chatbots in insurance media thanks to companies like Spixii making large strides in automating the customer experience. This does not necessarily mean that fully automated solutions are necessarily the way to go for all brokers. Brokers offering more complex lines of insurance such as Commercial Combined might find automating the entire customer journey on a chatbot challenging, but sometimes it can make sense to automate at least part of the journey. For instance, a chatbot is able to very successfully capture a website visitors name, email and general insurance interest after which a real person could take over. This transition can be made quite seamless, but the technology is not perfect so brokers should consider notifying customers when they are talking to a bot vs an actual human being. Brokers can also benefit using customer messaging platforms that aren’t necessarily their own. Insurers and MGAs should consider integrating messaging tools to their existing broker portals to service their brokers faster. The upside of this is that brokers can have direct access to their underwriters while they are working on the platform so if they need help with a quote they are able to post their question and get feedback from the same channel. This saves the trouble of switching to email or call and can also make the problem easier to identify for the underwriter as brokers can conveniently post screenshots through the chat window. Some platforms (e.g Intercom) can also track user activity helping underwriters to quickly get to the bottom of the issue. Not every broker has an online sales platform so the simplest way to start is by integrating a messaging system to your website. There are numerous platforms to choose from: Intercom, LiveAgent, Zoho SalesIQ, Freshchat, Kayako, Drift, LivePerson to mention a few. Thankfully, many of these platforms are also easy to integrate without much technical skill needed. Pricing models vary from the user based to volume-based models, meaning decent customer messaging platforms are affordable also to smaller brokers. The article was first published on Insurance Age blog. 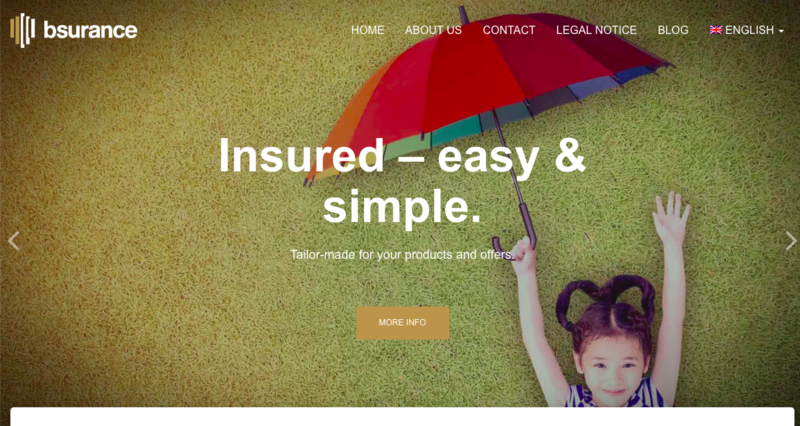 As more customers begin their search for insurance products on the Internet, it makes sense for insurance brokers and agents to start selling insurance online and to create online quote forms and calculators to attract some of those prospects. With the tools and methods necessary to sell insurance online, insurance brokers and agents can potentially increase their business volume with new customers obtained from Internet sources. There are lots of online insurance brokers and agents selling insurance products online. In the ever increasing competitive world of insurance, where there is little to no differentiation between one provider and another, a key area where online insurance brokers can increase market share is by making quote and application process as intuitive as possible. Unfortunately insurance broker companies still neglect the quotation and application process on their websites and present poorly designed, unintuitive and confusing forms to their prospective customers which in turn could see them missing out on conversions. How insurance companies who sell their products online can consider implementing changes on their website? Here are 6 key learning points that insurance brokers who want to sell online can use to ensure that they are offering the best experience to their potential customers. Most online insurance brokers are adding extra fields that were not required for a quote. This tended to increase the time to complete the task and introduce more potential for errors and abandonment. For a quote, name and address details are not required. Equally asking users how they “heard about you” at this stage in the process just adds to the frustration, and rarely gets completed honestly by users just wanting a quote. Questions not required for the quote, such as personal details could be asked later during the application process once users have decided to proceed. On insurance websites, one of the main frustrations users complain of is having to provide personal details in order to receive a quote. Most have concerns about giving their phone number or email address in fear of receiving unsolicited emails and phone calls. This is a significant barrier to conversion which sees them abandoning the quote process in search of another provider who doesn’t require personal information before they get a quote. Online insurance brokers would increase their conversion rate by removing fields that ask for personal information from the quote form. Users will be more inclined to give their email address willingly once they are shown a quote price if they are offered to have the quote emailed to them. Many online brokers assume users had read and understood the specific insurance products conditions and had already made a decision which insurance is best for them. In reality most users will jump straight to get a quote before reading any contents on the website and would be unsure when they are required to select a suitable product from the list. If users are required to know certain information about the products before the quotation process, make them aware of this fact before they begin the process. Better still would be to offer help during the quotation process that explains the options available to them. The websites that offered a better experience offered tools and calculators during the quotation process that would guide the user when answering questions. For example some users that are taking life cover would not understand some important aspects, such as the amount of cover they would need and would have concerns that they were either under-insured or unnecessarily paying more in premiums. Quote forms must provide some form of help tool tips. This help should be displayed automatically when users click into the specific field and should provide additional information about what is required and more importantly why it’s required. Where further explanation is needed the tool tip should provide a link to further information. Most people don’t enjoy spending time filling out insurance forms and want to get it over with as quickly as possible. Some of the websites are displaying difficult-to-use and complex forms; with long text heavy questions and poor design with misaligned fields, which would lead to frustrated users who are more likely to abandon the form. However form layout and design doesn’t have to be boring or dull. Find creative ways of gathering information to make applying for a quote enjoyable. Now when you have a really good website for selling online, you will need to generate leads. These could be visitors who sign up to your e-mail marketing list, or visitors who you convert into customers in the moment. According to Eisenberg Holdings, companies typically spend $92 to bring a customer to their site, but only $1 to convert them. Therefore it should be no surprise that conversion rates typically range from a mere 1 to 3 percent, according to research conducted by Steelhouse. In other words, 97 percent of the people who come to your agency’s website leave without requesting a quote. If you invested 10 or even 25 percent of your efforts on conversion, instead of just 1 percent, you could heavily impact the leads you generate from your website. Here are some tried and trusted ways to improve your lead generation efforts that you can start to experiment with to boost your conversions. test your headline, CTA, testimonials and anything else until you increase conversions. Many businesses fail to think of social media as a lead-generation tool, but it can actually be very powerful. One way to do this is to entice your Twitter followers to visit your website to read content, and then encourage them to sign up to your email list. Alternatively, you can sign them up to your list directly from Twitter. This way you are not selling directly, but you are generating leads. Content marketing is a form of inbound marketing where the idea is to publish high-quality content in order to encourage shares and build links. When it comes to lead-generation ideas, this should definitely be one of the ones you focus on. Start by publishing content on your blog, then move onto guest posts. Encourage shares of your content on social media, and the more shares and links you get, the more people will find your site. It will also help your SEO, which will help direct more targeted visitors to your site. Some people love pop-ups, some hate them. However, if used correctly, they can be very effective for lead generation. You could set up a pop-up that asks people to sign up to your email list when they have been on your website for a short period of time, and this may prove to be effective. You could also consider using a tool like Social Locker for Word Press. Using this, you can set the popup to appear once a visitor has landed on your page and has read some of the content. You can then ask for a Facebook Like or a Tweet to continue reading. After the visitor is engaged, they are already enjoying your content, and they may be more likely to oblige. This can help to get more shares, and eventually more leads. If you are building your email list, don’t assume that people will give away their emails for nothing. You want to get access to your targets’ inboxes, and they will want something in return. Just because what you are providing is free, you must still make sure it provides value if you want to get more leads, so make sure you come up with a good offer. So start to focus on hitting your lead generation targets using these techniques, and you could soon start to see more sales. INSLY is suitable software for selling insurance products online via API service. Please contact us by e-mail and let’s discuss in a 15-minutes call the possibilities for your successful online business. Selling insurance is complicated. Not impenetrable, but complicated. The sales process is sort of like a tangled piece of string— it’s easy to see the beginning and end but hard to figure out what’s happening in the middle. Kyle Nakatsuji, the author of this article, is a principal at American Family Venture. He is focused on identifying and supporting early-stage companies affecting the future of the insurance industry. American Family Ventures invests across a variety of sectors, including IoT, Fintech, SaaS and data/analytics. When you start untangling, you’ll find prospect lists, telemarketing, direct mail, traditional marketing and web-based lead generators uncovering and enticing potential customers. You’ll also find captive agents, independent agents or brokers, wholesalers, direct telephone sales, the Internet, affiliates, carriers and carrier-like entities selling various products. Some of these strategies work in coordination or create feedback loops — a customer sees a TV ad, which prompts him to submit a form online, which adds him to a direct mail list, which points him to an online aggregator, which puts him in touch with an independent agent selling insurance on behalf of a managing general agency… as you can see, the number of distribution permutations is considerable. However, American Family Ventures classifies insurance distribution start-ups using four groupings: lead generation, agency/brokerage, managing general agency (MGA) and carrier. As pictured above, the primary distinctions between participants in each group arise from the amount of insurance risk they bear and their control over certain aspects of the insurance transaction (for example, the authority to bind and underwrite insurance policies). However, many other tradeoffs await insurance start-ups navigating among these four groups. If you consider the evolution of digital customer acquisition, including new channels like mobile-first agencies and incidental channels, choosing a niche becomes even more complicated. In this post, we’ll discuss some of the key attributes of each group, touching on topics relevant for start-ups new to the insurance ecosystem. Please note, in the interest of time and readability, this post is an overview. In addition, any thoughts on regulatory issues are focused on the U.S. and are not legal advice. Lead generation refers to the marketing process of building and capturing interest in a product to create a sales pipeline. In the insurance context, because of the high-touch sales process, this historically meant passing interested customers to agents or call-center employees. Today, lead-generation operators sell to a variety of third parties, including online agencies and digital sales platforms. Revenue model — There are a variety of lead-selling methods, but the most common is “pay per lead,” where the downstream lead buyer (carrier or channel partner) pays a fixed price for each lead received. When pricing leads, quality plays a big role. Things like customer profile, lead content/data, exclusivity, delivery and volume all affect lead quality, which frequently drives the buyer’s price-sensitivity. As a lead-generation provider, you’ll generally make less per customer than others in the distribution chain, but you’ll also assume less responsibility and risk. Product breadth — With the Internet and enough money, you can generate leads for just about anything. Ask people who buy keywords for class action lawsuits. However, start-ups should consider which insurance products generate leads at acceptable volumes and margins before committing to the lead-generation model. Some products are highly competitive, like auto insurance, and others might be too obscure for the lead model to scale, like alien abduction insurance (which, unbelievably, is a real thing). Start-ups should also consider whether they possess information about customers or have built a trusted relationship with them — the former is often better-suited to lead generation, and the latter can facilitate an easier transition to agency/brokerage. Required capabilities (partnerships) — Lead-generation providers need companies to buy their data/leads. Their customers are usually the other distribution groups in this post. Sometimes, they sell information to larger data aggregators, like Axciom, that consolidate lead data for larger buyers. Generators need to show lead quality, volume and uniqueness to secure relationships with lead purchasers, but beyond that they don’t typically require any special partnerships or capabilities. Regulation — While I won’t go into detail here, lead-generation operators are subject to a variety of consumer protection laws. Entities in the agency/brokerage group (also called “producers”) come in a variety of forms, including independent agents, brokers, captive agents and wholesale brokers. Of note, most of these forms exist online and offline. Independent agents represent a number of insurance carriers and can sell a variety of products. Brokerages are very similar to independent agents in their ability to sell a variety of products, but with a legal distinction — they represent the buyer’s interests, whereas agents represent the carriers they work for. Captive agents, as the name suggests, sell products for only one insurer. While this might seem limiting, captive agents can have increased knowledge of products and the minutiae of policies. Finally, some brokers provide services to other agents/brokers that sell directly to customers. These “wholesale brokers” place business brought to them by “retail agents” with carriers, often specializing in unique or difficult placements. An important difference between the lead-generation group and the agency/brokerage group is the ability to sell and bind policies. Unlike the former, the latter sells insurance directly to the consumer, and in some cases issue binders — temporary coverage that provides protection as the actual policy is finalized and issued. Revenue model — Agencies and brokerages generally make money through commissions paid for both new business and on a recurring basis for renewals. The amount you earn in commissions depends on the volume and variety of insurance products you sell. Commission rates vary by product, typically based on the difficulty of making a sale and the value (profitability) of the risk to the insurance carrier. Start-ups should expect to start on the lower end of many commission scales before they can provide evidence of volume and risk quality. Agents and brokers can also be fee-only (paid for service directly and receive no commission), but that’s rare. Product breadth — Agencies and brokerages sell a variety of products. As a rule, the more complex the product, the more likely the intermediary will include a person (rather than only software). Start-ups should also consider tradeoffs between volume and specialization. For example, personal auto insurance is a large product line, but carriers looking to appoint agents (more detail below) in this category usually have numerous options, including brick and mortar and online/mobile entities. Contrast this with a smaller line like cyber insurance, where carriers may find fewer, specialist distributors who understand unique customer needs and coverages. Required capabilities (partnerships) — Agencies and brokerages are appointed by carriers. This process is often challenging, particularly for start-ups, which are non-traditional applicants. Expect the appointment process to take a while if the carrier isn’t familiar with your acquisition strategy or business model. Start-ups trying to accelerate the appointment process can start in smaller product markets (e.g. non-standard auto) or seek appointment as a sub-producer. Sub-producers leverage the existing appointments of a independent agency or wholesaler in exchange for sharing commissions. You could also apply for membership in an agency network or cluster — a group of agents/brokers forming a joint venture or association to create collective volume and buying power. Regulation — Agencies and carriers need a license to sell insurance. Each state has its own licensing requirements, but most involve some coursework, an exam and an application. As we’ve recently seen with Zenefits, most states have a minimum number of study hours required. There are typically separate licenses for property, casualty, life and health insurance. Once you have a license, many states have a streamlined non-resident licensing process, allowing agencies to scale more quickly. A managing general agent (MGA) is a special type of insurance agent/broker. Unlike traditional agents/brokers, MGAs have underwriting authority. This means that MGAs are (to an extent) allowed to select which parties/risks they will insure. They also can perform other functions ordinarily handled by carriers, like appointing producers/sub-producers and settling claims. Start-ups often consider setting up an MGA when they possess data or analytical expertise that gives them an underwriting advantage vs. traditional carriers. The MGA structure allows the start-up more control over the underwriting process, participation in the upside of selecting good risks and influence over the entire insurance experience, e.g. service and claims. We’ve recently witnessed MGAs used for two diverging use cases. The first type of MGA exists for a traditional use case — specialty coverages. They are used by carriers that want to insure a specific risk or entity but don’t own the requisite underwriting expertise. For example, if an insurer saw an opportunity in coverage for assisted living facilities but hadn’t written those policies before, it could partner with an MGA that specializes in that category and deeply understands its exposures and risks. These specialist MGAs often partner closely with the carrier to establish underwriting guidelines and roles in the customer experience. Risk and responsibilities for claims, service, etc. are shared between the two parties. The second type of MGA is a “quasi-carrier,” set up through a fronting program. In this scenario, an insurance carrier (the fronting partner) offers the MGA access to its regulatory licenses and capital reserves to meet the statutory requirements for selling insurance. In exchange, the fronting partner will often take a fee (percentage of premium) and very little (or no) share of the insurance risk. The MGA often has full responsibility for product design and pricing and looks and feels like a carrier. It underwrites, quotes, binds and services policies up to a specific amount of written authority. These MGAs are often set up when a startup wants to control as much of the insurance experience as possible but doesn’t have the time or capital to establish itself as an admitted carrier. Revenue model: MGAs often get paid commissions, like standard agencies/brokerages, but also participate in the upside or downside of underwriting profit/loss. Participation can come in the form of direct risk sharing (obligation to pay claims) or profit sharing. This risk sharing functions as “skin in the game,” preventing an MGA from relaxing underwriting standards to increase commissions, which are a function of premiums, at the expense of profitability, which is a function of risk quality. Product breadth: MGAs of either type often provide specialized insurance products, at least at first. The specialization they offer is the reason why customers (and fronting partners) agree to work with them instead of a traditional provider. That said, you might also find an MGA that sells standard products but takes the MGA form because it has a unique channel or customers and wants to share in the resulting profits. Required capabilities/partnerships: Setting up an MGA generally requires more time and effort than setting up an agency/brokerage. This is because the carrier vests important authority in the MGA, and therefore must work with it to build trust, set guidelines, determine objectives and decide on limits to that authority. Start-ups looking to set up an MGA should be ready to provide evidence they can underwrite uniquely and successfully or have a proprietary channel filled with profitable risks. Fronting often requires a different process, and the setup time required varies based on risk participation or obligations of the program partner. Start-ups should also carefully consider the costs and benefits of being an agency vs. MGA — appointment process difficulty vs. profit sharing, long-term goals for risk assumption, etc. Regulation: MGAs, like carriers, are regulated by state law. They are often required to be licensed producers. Start-ups should engage experienced legal counsel before attempting to set up an MGA relationship. Read more about Insly MGA software. Insurance carriers build, sell and service insurance products. To do this, they often vertically integrate a number of business functions, including some we’ve discussed above — product development, underwriting, sales, marketing, claims, finance/investment, etc. Carriers come in a variety of forms. For example, they can be admitted or non-admitted. Admitted carriers are licensed in each state of operation; non-admitted carriers are not. Often, non-admitted carriers exist to insure complex risks that conventional insurance marketplaces avoid. Carriers can also be “captives” — essentially a form of self-insurance where the insurer is wholly owned by the insured. Explaining captives could fill a separate post, but if you’re interested in the model you can start your research here. Revenue Model: Insurance carrier economics can be complicated, but the basic concepts are straightforward. Insurers collect premium payments from insureds, which they generally expect to cover the costs of any claims (referred to as “losses”). In doing so, they profit in two ways. The first is pricing coverage so the total premiums received are greater than the amount of claims paid, though there are regulations and market pressures that dictate profitability. The second is investing premiums. Because insurance carriers collect premiums before they pay claims, they often have a large pool of capital available, called the “float,” which they invest for their own benefit. Warren Buffett’s annual letters to Berkshire shareholders are a great source of knowledge for anyone looking to understand insurance economics. Albert Wenger of USV also recently posted an interesting series that breaks down insurance fundamentals. Product breadth: Carriers have few limitations on which products they can offer. However, the products you sell affect regulatory requirements, required infrastructure and profitability. Required capabilities/partnerships: Carriers can market and sell their products using any or all of the intermediaries in this post. While carriers are often the primary risk-bearing entity — they absorb the profits and losses from underwriting — in many cases they partner with reinsurers to hedge against unexpected losses or underperformance. There are a variety of reinsurance structures, but two common ones are excess of loss (reinsurer takes over all payment obligations after the carrier pays a certain amount of losses) and quota share (reinsurer pays a fixed percentage of every loss). Regulation: We’ll touch on a few concepts, but carrier regulation is another complex topic I won’t cover comprehensively in this post. Carriers must secure the appropriate licenses to operate in each country/state (even non-admitted carriers, which still have some regulatory obligations). They also have to ensure any capital requirements issued by regulators are met. This means keeping enough money on the balance sheet (reserves/surplus) to ensure solvency and liquidity, i.e. maintaining an ability to pay claims. Carriers also generally have to prove their pricing is adequate, not excessive, and not unfairly discriminatory by filing rates (their pricing models) with state commissioners. Rate filings can be “file and use” (pre-approval not required to sell policies), or “prior approval” (rates must be approved before you can sell policies). Kyle Nakatsuji is a principal at American Family Ventures, the venture capital arm of American Family Insurance, where he is focused on identifying and supporting early-stage companies affecting the future of the insurance industry. American Family Ventures invests across a variety of sectors, including IoT, Fintech, SaaS and data/analytics. follow @kylenakatsuji for more stories like this. Read the original article. Looking for an insurance software for your insurance business? Try Insly for FREE! We recently had the pleasure of interviewing Khoo Kok Peng, Founder of the Singapore-based Svalinn Risk Solutions Pte Ltd.
Who is Svalinn Insurance Agency? Svalinn is the name of a legendary shield that stands before the sun in Norse mythology. And we are its shield bearers. The role of a shield bearer in medieval times was to protect his lord in battle, using his shield to deflect blows and arrows. I believe that the same role today is carried on by men and women who make insurance their craft, who serve and put the interests of their clients above their own. I formed Svalinn in 2015 as an insurance agency focusing on Financial Lines, serving mainly startups and SMEs. Many of my current clients gave me a chance at the start, but I had to work really hard to earn their trust and to make Svalinn one of the top Financial Lines specialists in Singapore. How did you improve efficiency in 2 weeks? We were growing so fast that we simply outgrew our existing CRM system. The old system was unable to track policies bound/renewed/not issued or generate timely reports on outstanding premiums not collected. I got frustrated with the increasing frequency of missing policy documents and the delay in collection of premium payments. I tried out different software, but was disappointed as most of them didn’t fully understand the business workings of an insurance brokerage. Until I found Insly online. The video tutorials were very useful, so I decided to try out their system. Märtin from Insly was very helpful in answering all my queries and I was able to setup Insly for my agency within a few weeks. 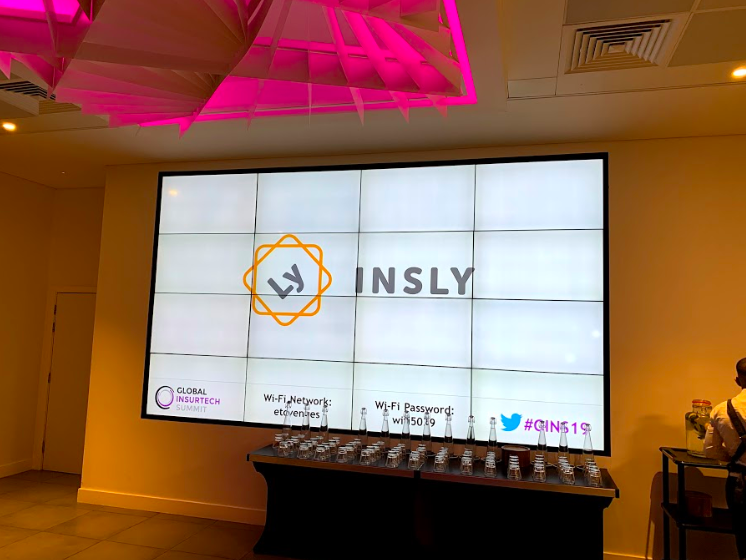 How has Insly helped your business? We don’t have to log into multiple systems to find out information about our client’s policy, whether the invoice has been issued or if the premium has been collected – everything is available on Insly. Insly has streamlined our entire process from quotation, binding cover, collecting payment and claims handling. We can see real time information now on all our renewals, new sales, quotations and claims. In summary, Insly has made my agency more efficient, agile and better positioned to take advantage of opportunities in the new economy.